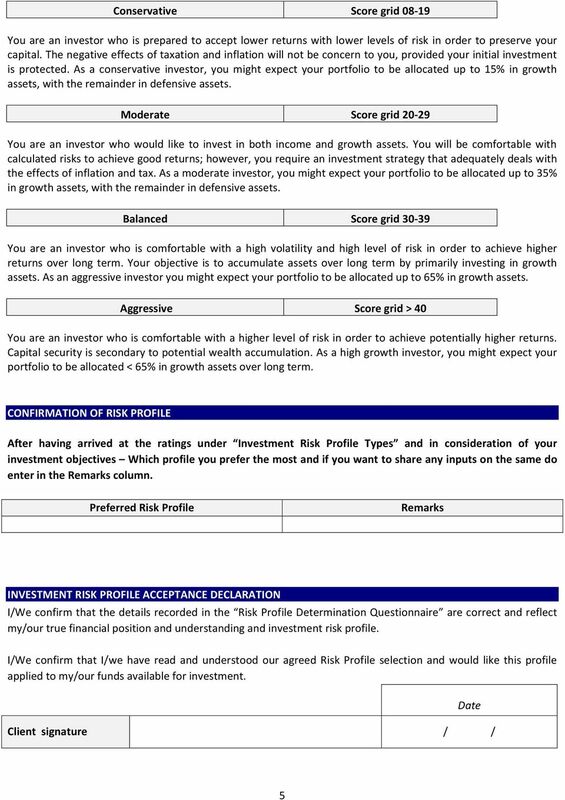 Download "CLIENT RISK PROFILE QUESTIONNAIRE"
Investment Policy Questionnaire Name: Date: Ferguson Investment Services, PLLC Investment Policy Questionnaire Introduction: The information you provide on this questionnaire will remain confidential. Define your goals. Understand your objectives. Retires in. Bob plans to retire in 2039. He s somewhat concerned about fluctuating investment values, so you could call him a balanced investor. 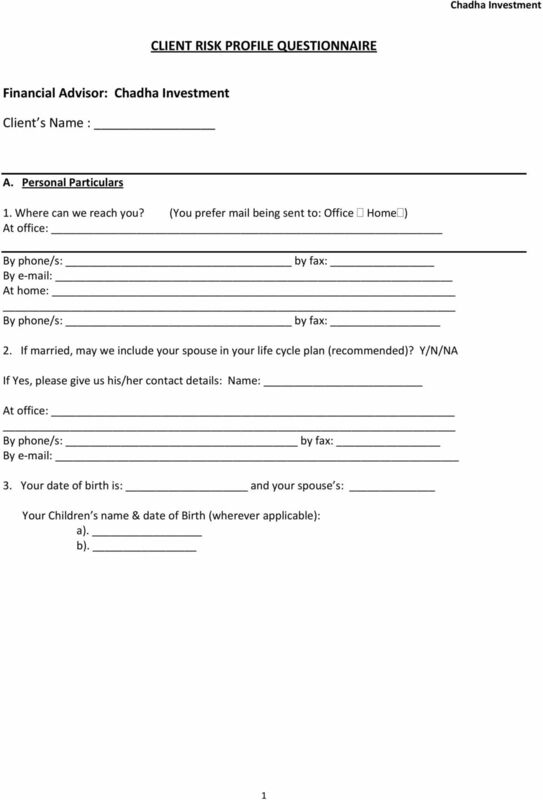 Attitude to Risk Questionnaire. 1. In an effort to grow your wealth, can you afford to lose any money over the next two years? No Yes 2. 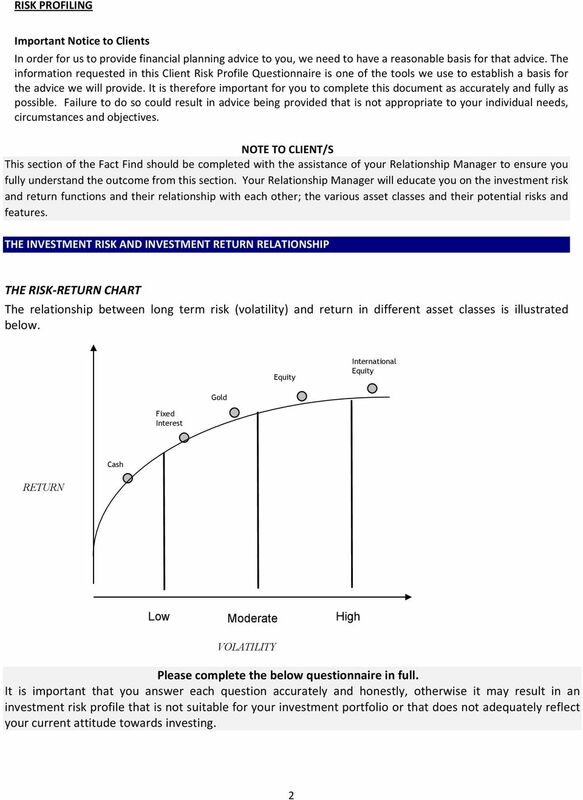 When do you expect to start withdrawing money from your investment? 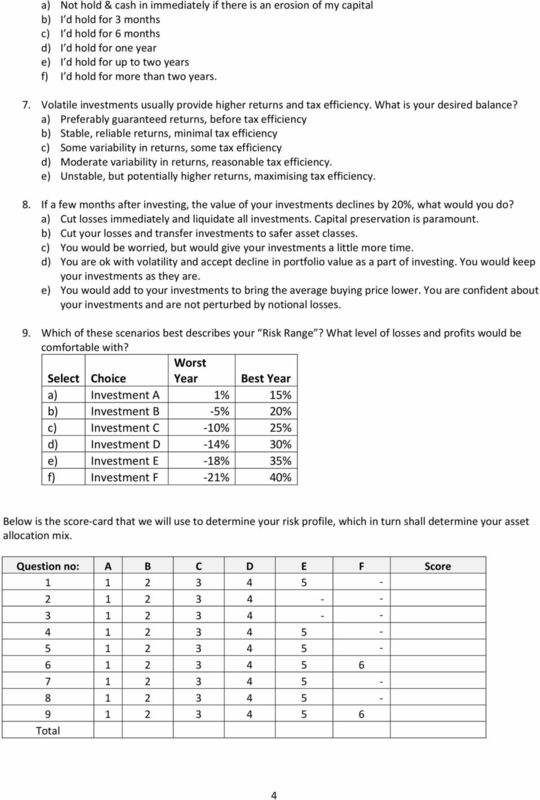 Determining your investment mix. 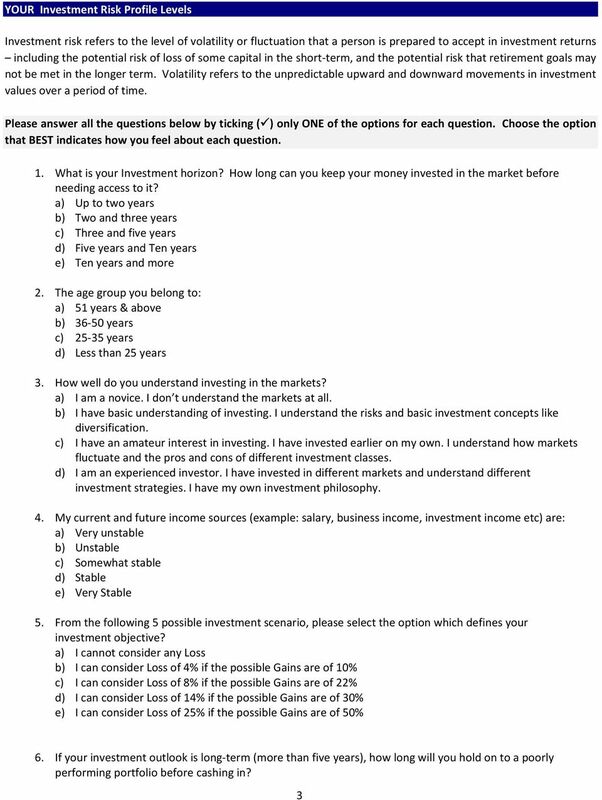 Ten minutes from now, you could know your investment mix: And if your goal is to choose investment options that you can be comfortable with, this is an important step. CAL BROKERS LIMITED (Licensed Dealing Member of the Ghana Stock Exchange) INDIVIDUAL ACCOUNT OPENING FORM TO BE COMPLETED IN BLOCK LETTERS Client/Customer Code Securities A/C #.... Prof. Dr. Mr. Mrs. Ms.
Our time-tested approach to investing is very straightforward. And we re ready to make it work for you. Managing risk in DC plan lineups The new alpha?